Disney Hipster Blog: Do You Have A Photo Spot Tradition? Do You Have A Photo Spot Tradition? On an old episode of Disney Hipster Podcast we discussed our photo spot traditions. 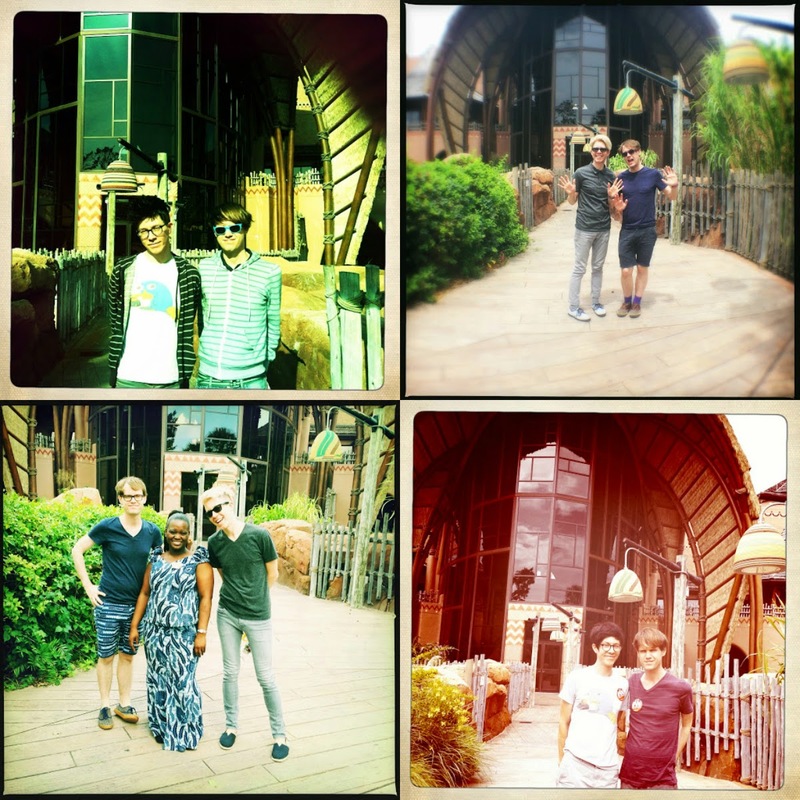 For instance, Adam and I always take a photo on the Sunset Savanna at Kidani Village after a meal at Sanaa for lunch. Its just one of those things that we did once, and our obsessive nature insisted on repeat photos. I have heard of families with small children taking pictures in the same spots in the parks, as a way of watching the children grow…but what about this activity benefits adults? Shear tradition seems like a pretty lame excuse, while claiming OCD (like we are) also seems pretty silly. Just like children, its kind of fun to look at yourself over the years.